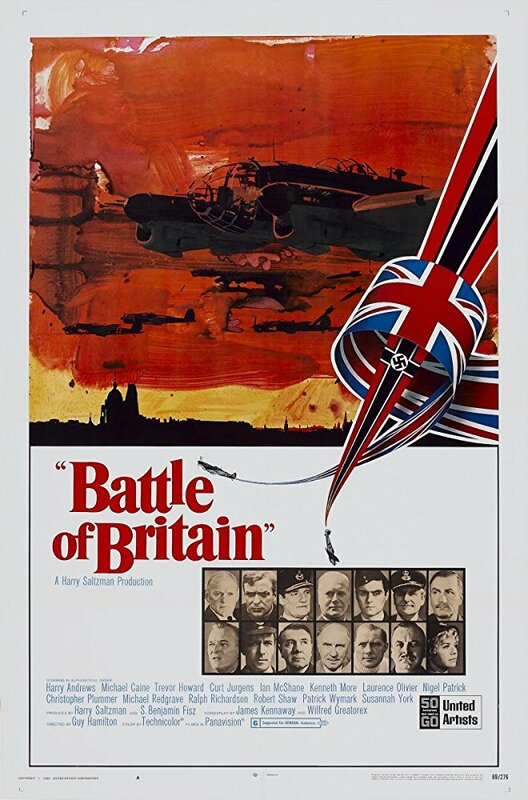 In 1940, the British Royal Air Force fights a desperate battle to prevent the Luftwaffe from gaining air superiority over the English Channel as a prelude to a possible Axis invasion of the UK. Based on the book The Narrow Margin by Derek Wood and Derek Dempster, Battle of Britain is a fictional retelling of the historic military campaign. Although focusing mainly on British efforts, Canadians receive prominent play through the role of Canadian fighter pilot Colin Harvey. Gunner A.S. Deveau of the 4th Field Regiment, Royal Canadian Artillery (R.C.A. ), holds a freshly-caught pike from the Scheldt River near Antwerp, Belgium, 2 October 1944.